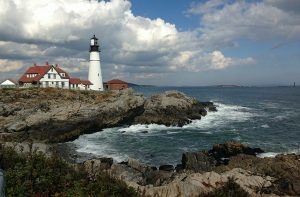 Maine is a place that calls out to those who want adventure, from its iconic lighthouses floating along sparkling bays to Portland’s cobblestone streets full of foodies. Maine offers Adopting Parents the opportunity to complete their families through adoption and helps Birth Mothers facing an unplanned pregnancy. Here, we offer you our informational guide to help you through your adoption journey. Before an adoption can take place, there are specific laws, rules and qualifications in Maine concerning who can adopt or how you can adopt. Laws, rules and qualifications will vary based on the type of adoption you choose to pursue. All Adopting Parents must meet these requirements to adopt in the state of Maine. What are the Laws and Qualifications for Adopting a Child in Maine? What Adoption Expenses can be Paid by Adoptive families in Maine? Individual states determine how much and what type of expenses are allowed to be paid to a prospective Birth Mother during her adoption process. Expenses related to adoption in Maine depend on the type of adoption you decide to pursue. What are the Laws to become a Foster Parent in Maine? What are the Requirements to Finalize an International Adoption in Maine? If an adoption in a foreign country has been finalized and the adoptive parents are seeking a Maine adoption to give recognition to the foreign adoption, a judge may enter a decree of adoption based solely upon a judgment of adoption in a foreign country to finalize an international adoption in Maine. The judge may order a name change if requested by the adoptive parents.The State Registrar upon request, will establish a birth certificate for a foreign-born person for whom an adoption decree has been entered in State court. As a woman facing an unplanned pregnancy and starting the adoption process in the state of Maine, there are some important things for you to know. You must learn the laws, rules and qualifications of placing your baby for adoption. An Adoptive Parent can make an adoption plan anytime during the Birth Mother’s pregnancy or after birth of the child. In the state of Maine, a Birth Parent can consent to placing the child for adoption after the child is born. Consent from the birth parents and the child, if they are at least 14 years old, must be given in the presence of a judge. Consent to adoption is not valid until three days after it is given in Maine. Consent is irrevocable after three days, unless the petition for adoption is withdrawn or dismissed, or the adoption is not finalized within 18 months of the consent. What Rights do Birth Fathers have in the Adoption Process in Maine? All adoptive parents in the state of Maine are required to complete a home study and a post-placement assessment after the adoption has taken place; regardless of the type of adoption you’re pursuing or the adoption professional you’re working with. Both will assess your ability to provide a nurturing and stable home to a child. What is Included in the Maine Home Study Process? The court will request a background check for each prospective parent who is not the birth parent of the child in the home study process. The Maine Department of Health and Human Services or a licensed child-placing agency will conduct the home study. On what Grounds will the Home Study not be Approved in Maine? The home study should be completed within 60 days of filing an adoption petition. What are the Post-Placement Requirements for Maine Adoptions? Before the adoption is finalized, the court will ask for a post placement assessment to take place to ensure that the adopting parents circumstances have not changed to no longer fit the child’s best interest. In Maine, the post placement period will last at least 6 months. The child and family shall be seen within 3 weeks of placement and at least within each 2 months until the probationary period is over. At least two of the visits shall be in the adoptive home and will include both parents, if applicable. The agency shall ensure that the applicants understand the importance of telling the child he or she is adopted and shall review with the applicants how that will be done. What are the Home Study Requirements for Stepparent or Relative Adoptions in Maine? If the adopting parent is a blood relative of the child, the court may waive the requirement of a home study and report. Maine is home to some amazing adoption agencies who are ready to help get you started on your journey. Whether it be adopting a child into your family, or finding resources to place your child up for adoption, these professionals are all willing and able to help you throughout this process. Maine offers unique year-round activities for adopting parents and birth mother visiting or living in The Pine Tree State. Spend your day by the sea and venture inland for hiking, paddling, and fishing, or enjoy the vibrant city life in Portland!